This Saturday, we headed to King’s Cross to sample the delights of London’s latest Saturday market: KERB. 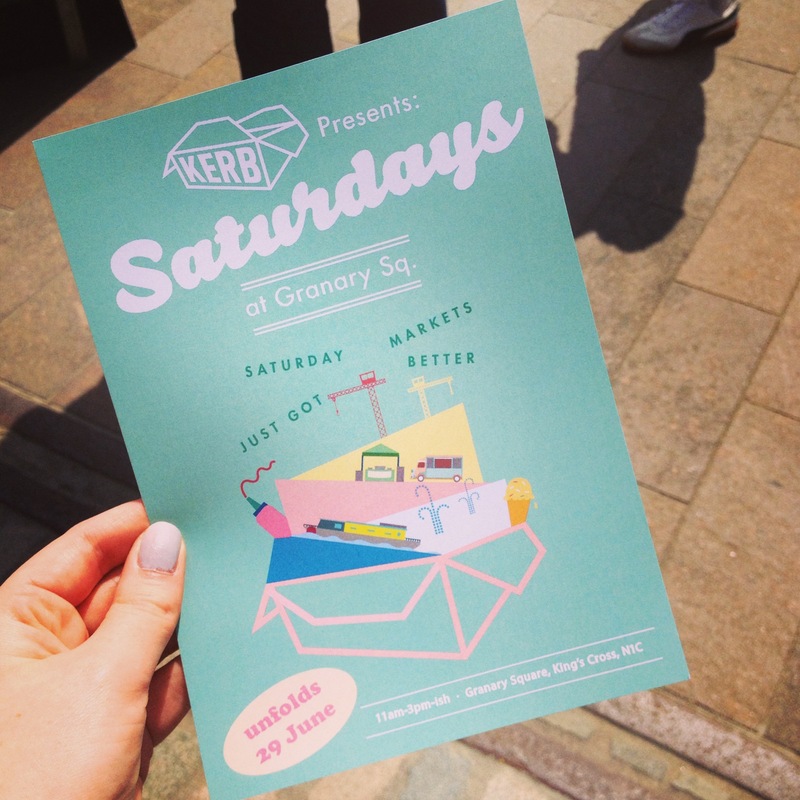 They’ve been running a market in Granary Square every Thursday for a while, but last weekend saw the first KERB Saturday. Luckily the sun was shining, the place was buzzing and there were lots of food stalls to peruse. 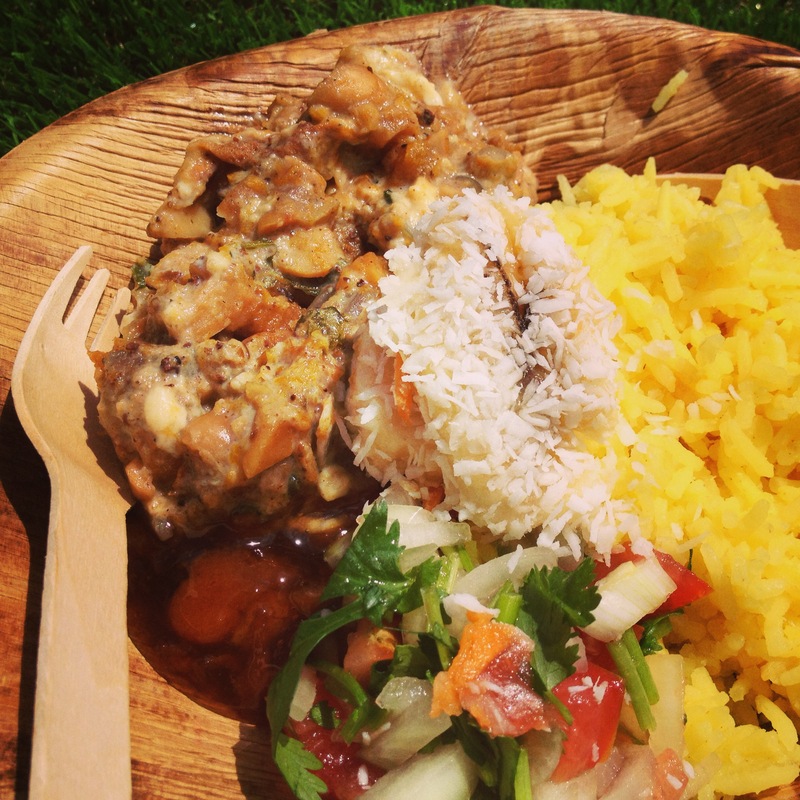 After weighing up our (many) options, we went for the vegetarian bobotie, from Shebeen Queen, who were serving up a selection of South African street food. It was the perfect choice for a hot sunny day – delicious macadamia, butternut and almond curry, served with aromatic geel rys, sambals and chutney. An amazing assortment of flavours and the perfect lunch. Since it was so hot, we decided the ONLY concievable pudding option was ice-cream from the wonderful Sorbitium Ices. Choosing from the selection of flavours was pretty tough, but having 2 scoops (1 of each flavour) was definitely a good decision. 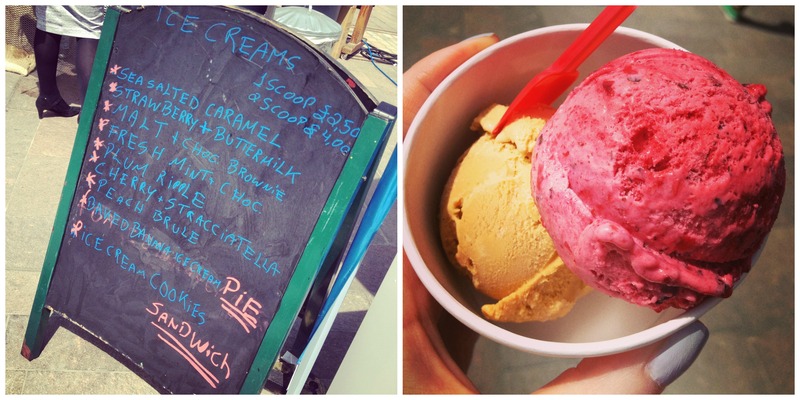 I went for Salted Caramel and Cherry & Stracciatelia whilst Alex went for the Cherry plus the Plum Ripple. All excellent choices. The Cherry & Stracciatelia was especially good. 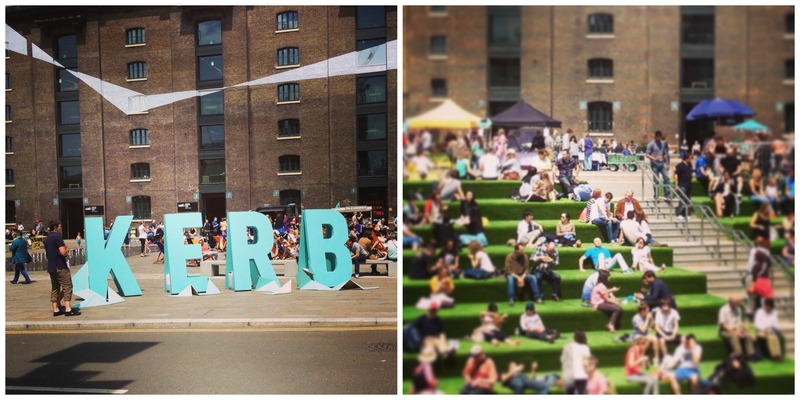 KERB was a great way to spend lunch in the sun. I’d recommend a trip down there on the next sunny Saturday we get (hopefully this year…).